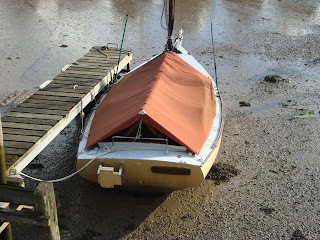 Here are a number of photos of ‘Puddleduck’ built in 1961. She’s a 15’ x 6’ 6” day sailer designed by Sam Rabl. If her bowsprit is included, her length overall is 17’ 6”. Her carvel hull has been strip-planked and splined. 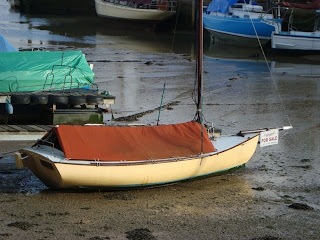 For a boat over 50 years old she would appear to be in good nick. An attractive and useful feature is her furling headsail. 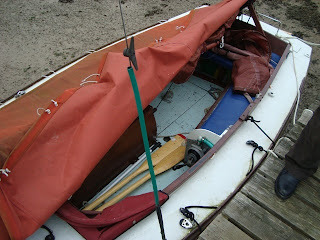 Her auxiliary power is a 3 HP Seagull outboard. 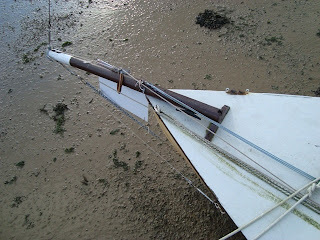 Her mainsail is gaff rigged and she has a topsail. Her lifting centreplate and kick-up rudder make her ideal for shallow water sailing. HI. Nice titmouse sailboat. 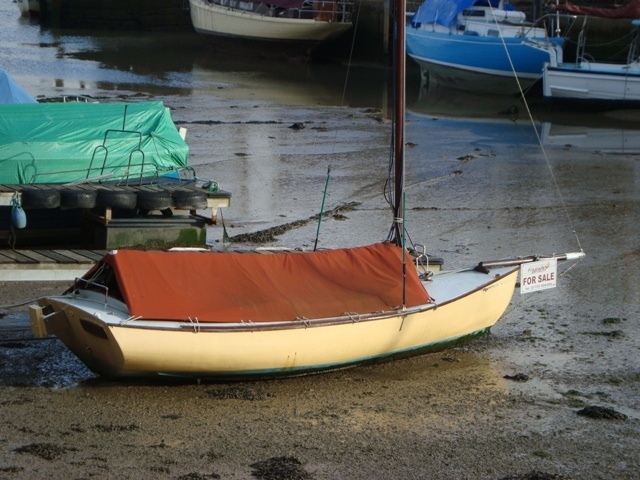 I'm thinking of buying one locally this weekend and I was curious as to what you thought of it's sailing characteristics?